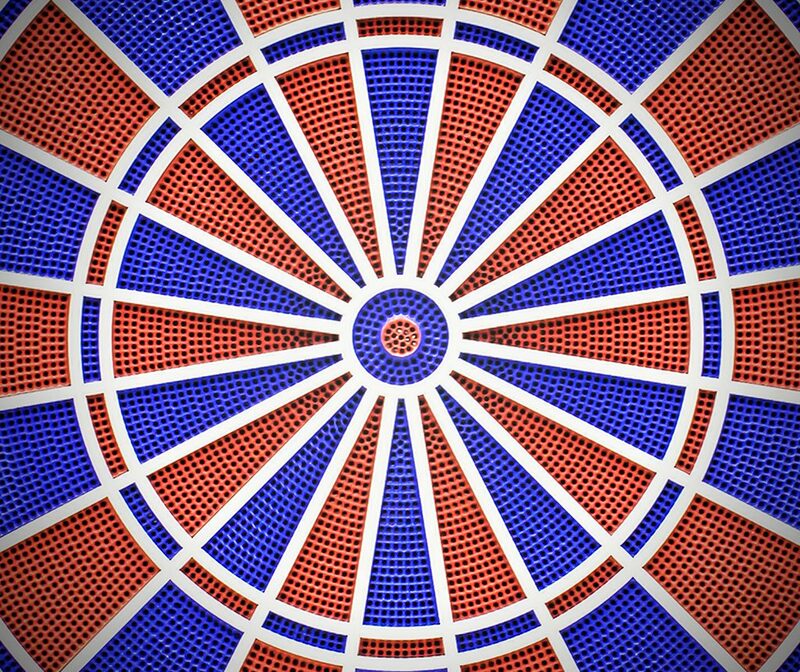 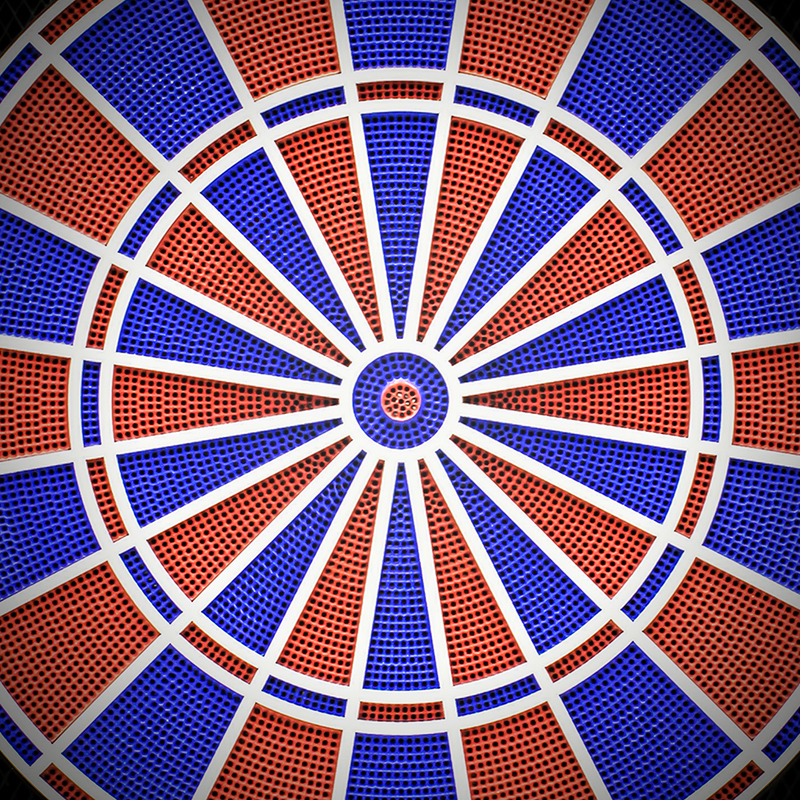 Dartboard CLASSIC MASTER 2 | Products | Carromco - License To Play! 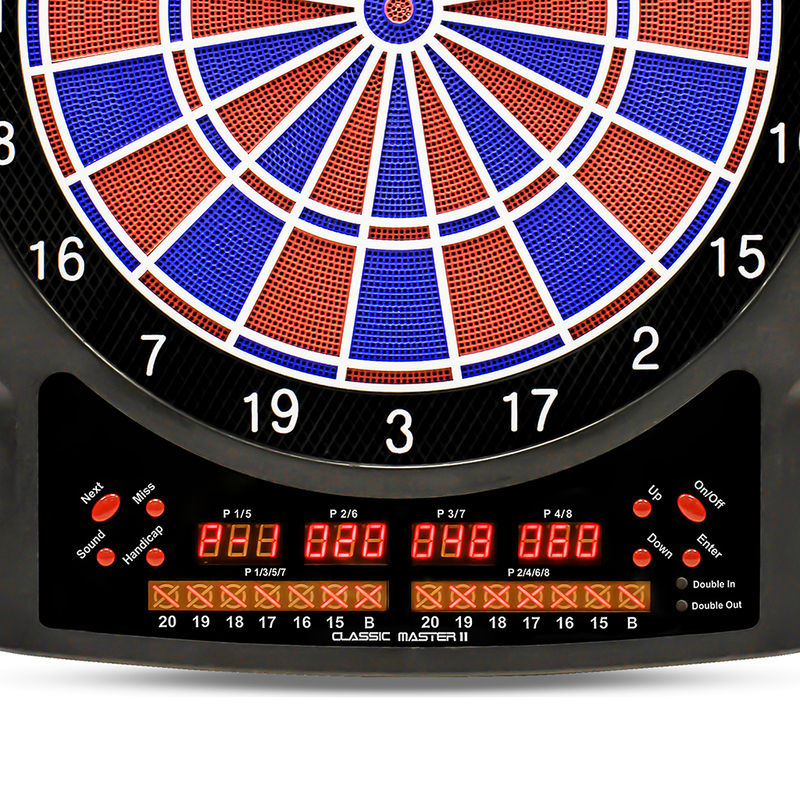 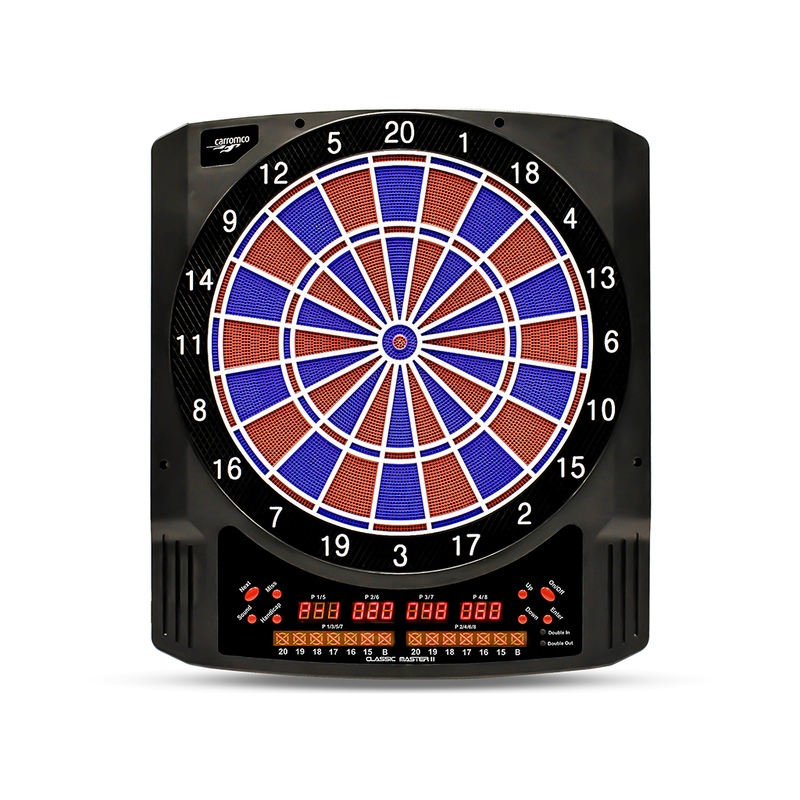 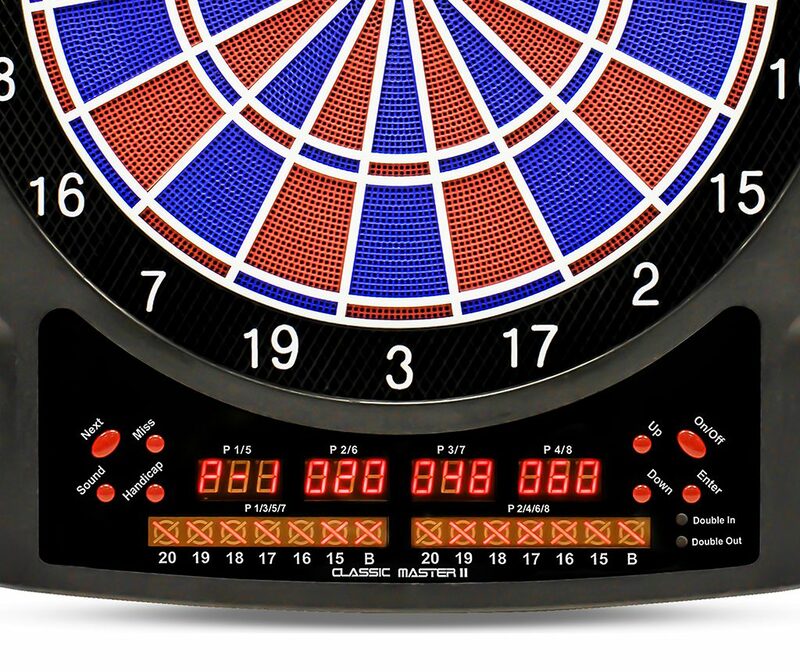 Premium electronic Dartboard with 6 LED displays. 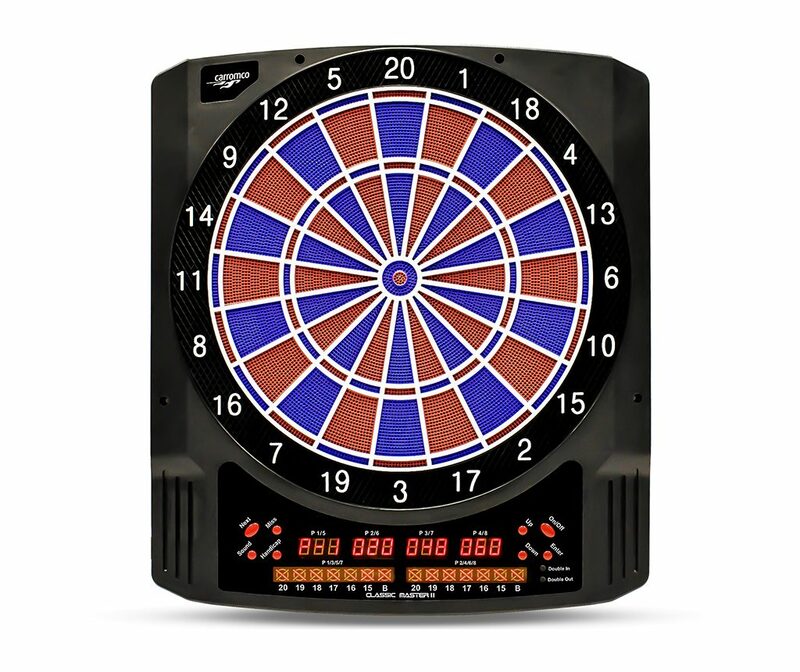 1-8 Players, sound & voice effects, sound ON/OFF Option, 2-hole double/triple segments, 36 games, 585 variations 6 darts & 20 Spare tips, adapter included.